Mina Maria Funk is my 1st cousin 3 times removed. I highlight Mina today because I found so many wonderful pictures of her and her family. 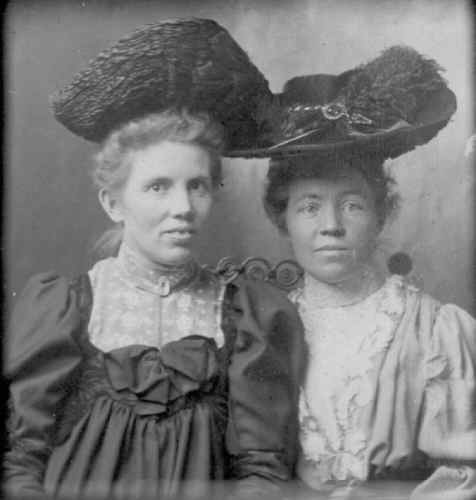 Mina was born on January 5, 1874 in Richmond, Utah to Hans Madsen Funk and Anna Sophia Peterson. 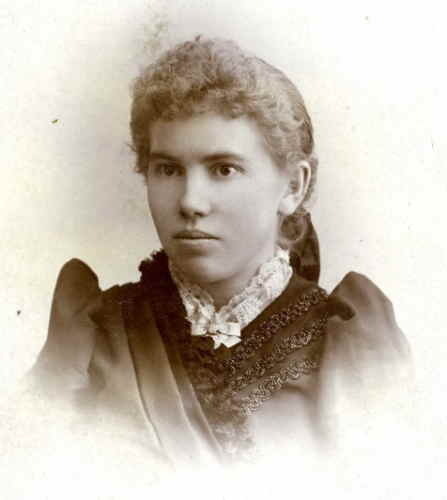 In the 1880 U.S. Federal Census, she is listed as “Mina Funck,” indicating that the Funk’s changed the spelling of their last name shortly after they arrived in the U.S. from Denmark. The Census states that Hans was a farmer. 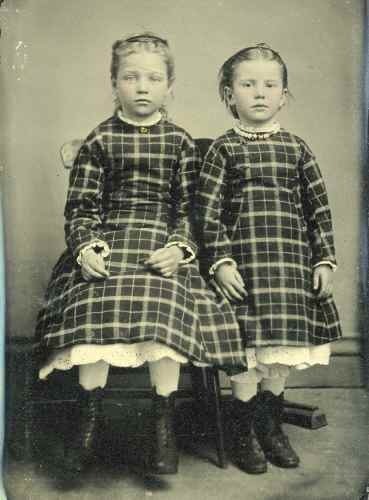 Mina had one brother, George Waldemar Funk, who died in infancy, and one sister, Annie Sophia Funk (1871-1918). 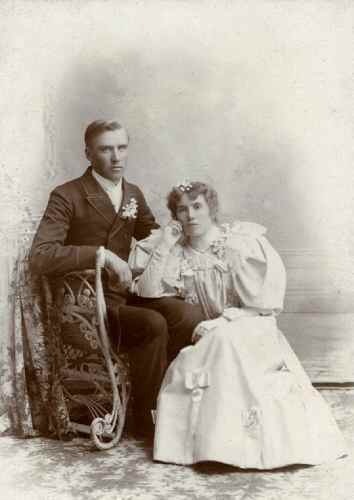 On June 17, 1896, Mina married John Edward Griffin at the LDS temple in Logan, Utah. 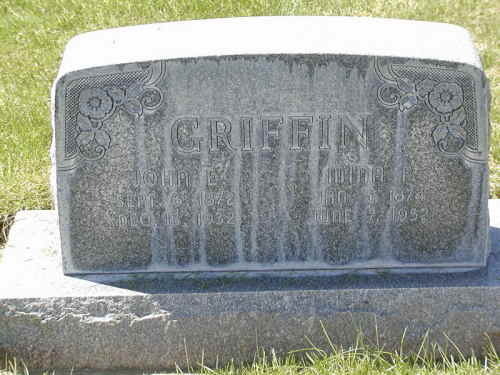 John was born on the 6th of September 1872 in Newton, Cache County, Utah.­ Mina and John had four children: Marvel, Stanley Funk, Mina, and John Marcus Griffin. John was called to serve a mission for the LDS Church to the Southern States one month after his marriage. He served for 3 years, from 1896-1899. 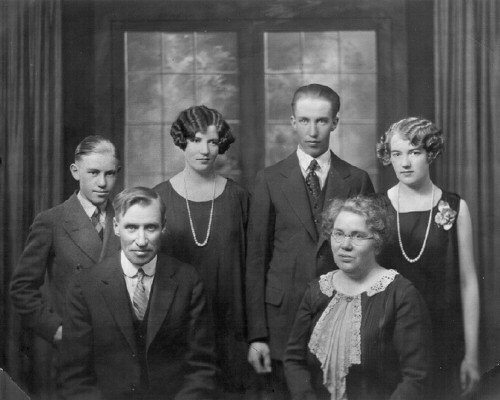 Mina Funk and John E. Griffin Family – (Back Row L-R): Marcus, Marvel, Stanley and Mina Griffin. 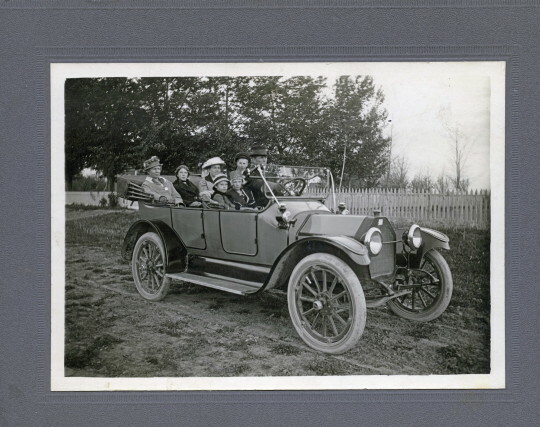 (Front Row): John Edward Griffin and Mina Maria Funk Griffin. Mina died on June 7, 1952 in Newton, Utah. She was 78 years old.